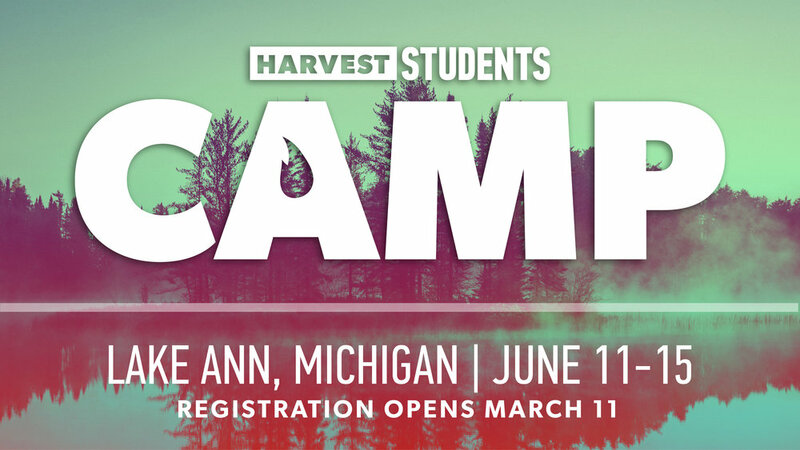 We’re partnering with other Great Commission Collective churches in our area to put on an amazing camp for our 7th-12th grade students this June in Lake Ann, Michigan. Registration starts on Monday, March 11 at 9 a.m. and closes on Thursday, May 23. Harvest Summer Camp is open to incoming 7th graders through graduating seniors. All activity tracks will be first come first serve. Click on the “learn more” below to learn how Lake Ann can meet your student's dietary needs. Scholarships are available for Summer Camp. If your student is in need of a full or partial scholarship, please email Harvest Students. Transportation to Lake Ann will be via chartered bus or passenger van. Once we have received all registration, we will contact you with transportation costs. Transportation costs will range from $100 to $150, in addition to the 'base cost' of camp. These fees will be due Friday, May 31st. Help our Harvest Students get to camp! Help our students raise money for summer camp and shorten your to-do list, all in one! Do you need a babysitter? Rent-a-Kid! Do you need your garage cleaned? Rent-a-Kid! Do you need your dog walked? Rent-a-Kid! Do you need your car washed? Rent-a-Kid! Every year, we have a number of students that need financial assistance in order for them to attend summer camp. In an effort to help them raise money themselves, we are giving them the opportunity to earn funds for camp, and you the opportunity to shorten your to-do list! To Rent-A-Kid, click here to fill out your request. Once your request has been submitted, one of our rentable students will get in touch with you to work out the details (there are no pre-set rates)! Maybe you don't need help with your to-do list, but you would like to donate money to our summer camp scholarship fund. Click here to give online (tax deductible, of course!). To attend Summer Camp, all students will need a 2019-2020 Waiver on file and Permission to Administer Medications form, if desired. Please download these forms below and email your completed waivers and forms to Harvest Students.